Richard has a couple of clowns up his sleeve…choose from the totally absurd ‘Professor Seltsam’ – Senior Lecturer of Applied Absurdity or a classic stiltwalking variety ‘Ricardo’ – part showman, part clown. 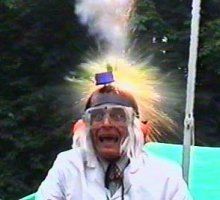 A stereotypically Einsteinesque barmy boffin entertains with madcap pseudo-science involving pyrotechnics, smoke and surprises. His experiments include reversing gravity, demonstrating teleportation and re-creating the Big Bang. 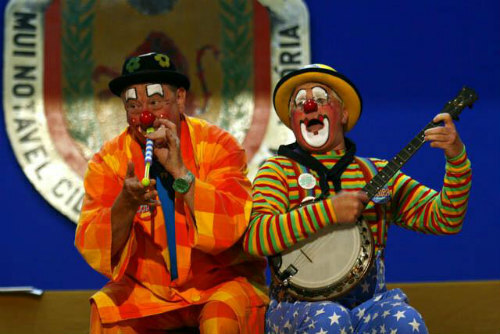 The show contains visual, intellectual and verbal comedy and consequently appeals to all ages, except the very young who may be frightened by the loud bangs. Being so visual it also has appeal to those for whom English is not their mother tongue. For insurance and safety reasons the show needs a minimum of 6m x 3m floor space and headroom of at least 3m. The theatrical smoke effects can trigger some alarm systems. It can be performed indoors or out subject to space and weather conditions. 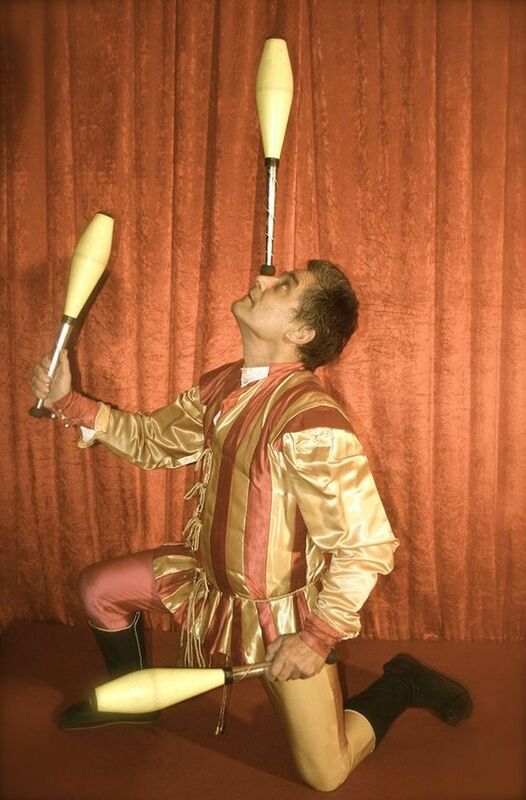 Ricardo – Part Showman, Part Clown! Ricardo is a multi-skilled mix and mingle character, equally at home on the ground, on stilts or riding a unicycle. 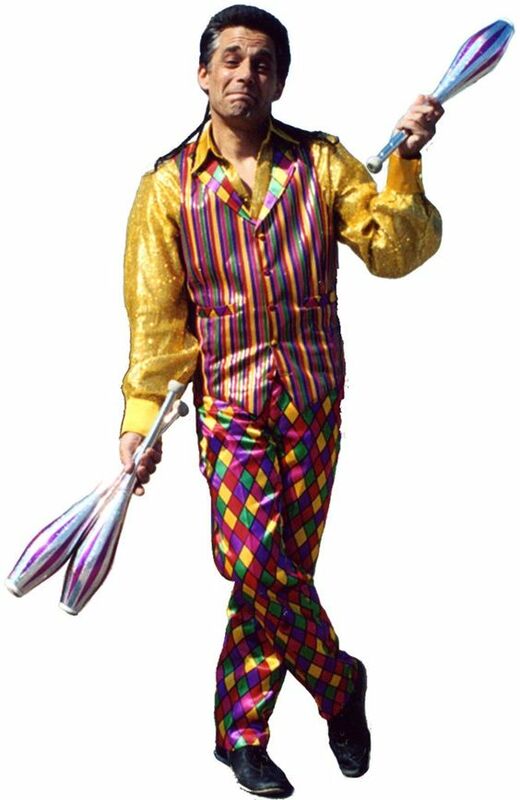 His walkabout may include a mix of juggling, diabolo, devil-stick or balloon modelling, and will include a quick wit, a ready repartee and the ability to engage the young and old alike. As a high visibility meet and greet entertainer you’d be hard pressed to find anything more visible than ten-foot-tall Ricardo. A cheery smile, a doffing of his hat and a witty quip or quick balloon model will put a smile on the face of everyone, young or old, as they arrive at the party or presentation. Stilt walking Ricardo can also take part in parades and publicity handouts using the attention he attracts to the best possible advantage.